The USD rose across the board on Friday, September 16 after August’s consumer prices advanced 0.2 percent beating expectations. The core consumer price index (CPI) rose 0.3 percent ahead of a 0.2 percent forecast. The USD had taken a hit on Thursday after retail sales were lower than anticipated but managed to turn the corner as consumer prices climbed giving food for thought to the members of the Federal Open Market Committee (FOMC) at the data dependent U.S. Federal Reserve. The Bank of England (BoE) did not make any changes to its benchmark interest rate or quantitative easing program on Thursday thus joining other major central banks in a wait-and-see strategy. Economists are mixed ahead of the Bank of Japan (BOJ) statement due on Wednesday, September 21 at 00:00 EDT. There have been signs that the central bank could stand apart from other policy makers and take action or as other central banks have done this month use verbal intervention to steer markets pushing easing monetary policy announcements for later in the year. The U.S. Federal Reserve will publish its Federal Open Market Committee (FOMC) statement on Wednesday, September 21 at 2:00 pm EDT to be followed by a press conference with Fed Chair Janet Yellen at 2:30 pm EDT. The U.S. central bank is not expected to hike rates in September even after the surprise rise in inflation, but the probability of a December rate hike has risen considerably in the last few days. The EUR/USD lost 0.465 percent in the last 5 days. The single currency is trading at 1.1162 after the USD closed a week of mixed economic indicators with a strong CPI number that has increased the probabilities of a rate hike in September by a small margin, but has put December above 50 percent. The greenback was lower ahead of the CPI released by the Bureau of Labor Statistics on the back of the disappointing retail sales data. U.S. retail sales contracted in both the headline number and the so called core indicator that excludes auto sales. Core retail sales came in at -0.1 percent lower than the forecasted 0.3 percent. Retail sales were deeper in negative with -0.3 percent on a -0.1 percent estimate. West Texas lost 6.7 percent in the past week. The price of oil is trading at $42.88 as inventory data has been mixed and energy prices are under pressure from a stronger USD. Oil is expected to continue range bound ahead of the Organization of the Petroleum Exporting Countries (OPEC) meeting in Algiers at the end of September where OPEC and non-OPEC members could reach an agreement to freeze oil production output. The current oil glut globally is the result of major producers hitting record highs, while at the same time demand for energy has shrunk. The war for market share in the oil and gas industry has hurt prices, and only disruptions to production or the promise of collaboration by major producers has been able to keep the price from falling further. The Bank of England (BoE) as expected kept rates unchanged on Thursday, September 15. The benchmark rate in the U.K. is at a record low 0f 0.25 percent since August when BoE Governor Mark Carney announced a rate cut as a measure to offset the challenges to the economy as a result of the Brexit vote. This time around the BoE took no action in part because most of the negative effects it expects from the decision to leave the European Union have not hit as the process has not started officially as the article 50 has not been invoked. The central bank did warn that it is ready to cut the interest rate again in November if the economy is underperforming versus its August forecasts. 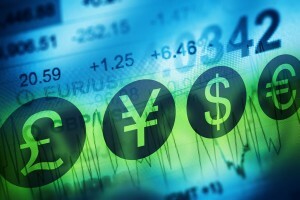 The GBP/USD lost 1.425 in the last five days. The pair is trading at 1.3072 and could break the 1.30 if USD strength continues to be fuelled by a monetary policy divergence expectation. Central banks have been cautious in September but the biggest driver of risk in markets is the BOJ. The Japanese central bank has the most experience dealing with negative rates and monetary stimulus, yet the markets are not sure what is next for an institution that set out to reach a 2 percent inflation goal in 2 years. Abenomics have relied heavily on the central bank and so far results are nowhere near those promised. Macro economic conditions have not been favourable and what was intended to boost growth has only managed to keep Japan from falling deeper into deflation. The BoJ meeting on Tuesday and Wednesday could result in an almost equal probability of outcomes which could take away the spotlight away from the U.S. Federal Reserve who is heavily anticipated to keep rates unchanged ahead of the elections even after the rise of inflation.